PT 109 – ORIGINAL 1963 ITALIAN 2 PANEL POSTER – KENNEDY WWII CIRIELLO SHIP ART! CROSSFIRE '47 PHOTBUSTA ~ CONTROVERSIAL SUBJECT & 4 OSCAR NOMS! GREAT FILM NOIR! CROSSFIRE ’47 PHOTBUSTA ~ CONTROVERSIAL SUBJECT & 4 OSCAR NOMS! 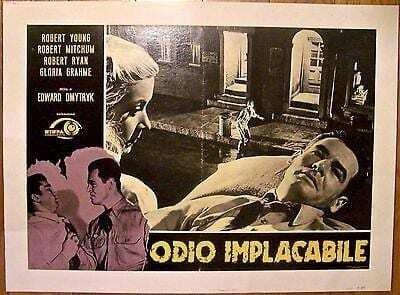 GREAT FILM NOIR! 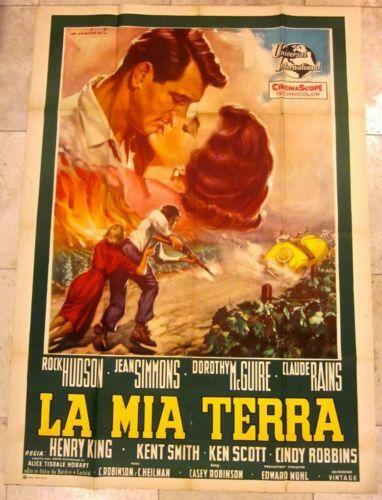 CUT 70$$ THE EARTH IS MINE IITALIAN 1960 POSTER - ROCK HUDSON ROMANTIC ARTWORK! 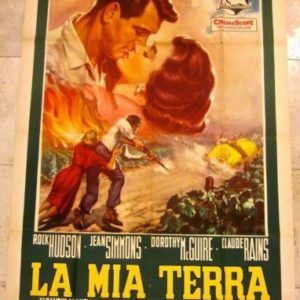 CUT 70$$ THE EARTH IS MINE IITALIAN 1960 POSTER – ROCK HUDSON ROMANTIC ARTWORK!